The Sakya Centre is the main seat of Sakya order of Tibetan Buddhism and the personal monastery of His Holiness Sakya Trizin. 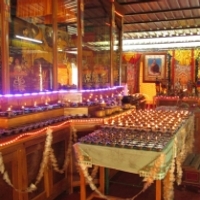 The Sakya Monastery in Kalimpong is the only Sakya Monastery in Kalimpong to serve the spiritual needs of the devotees in that region. Visit Sakya Kalimpong monastery website or connect on facebook. Sakya Nunnery (a.k.a. Rinchen Choling), the only Sakya Nunnery outside Tibet, provides a place for study and practice for more than 200 nuns. 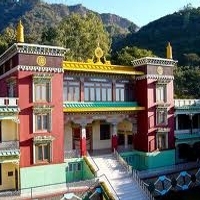 Sakya Institute (a.k.a. Sakya Thupten Namgyal Ling) was established in 1980 by His Holiness Sakya Trizin with the sole intention of imparting education in Higher Buddhist Philosophy with particular emphasis on aspects of the Sakyapa Tradition. 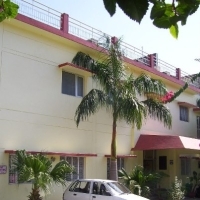 Sakya Gadhe Hospital is a nonprofit charitable hospital dedicated to providing affordable medical care to the poor and needy Tibetan refugees and the local Indian population of the region. 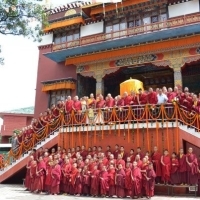 The Sakya College is an institute of traditional Buddhist philosophical and scriptural studies. 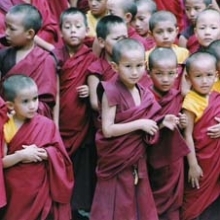 Established in 1972, it is the oldest school of its kind among the Tibetans in India and Nepal. Sakya Academy is the monastic school aimed to train and accommodate the growing number of applicants who become novice monks. 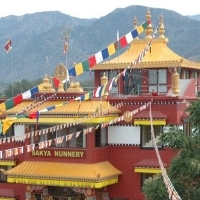 Sakya Tibetan Society was established by His Holiness Sakya Trizin in 1969. 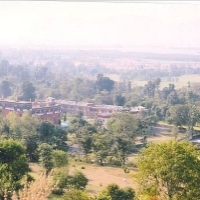 When His Holiness Sakya Trizin came to India in 1959, members of this Tibetan refugee settlement followed him and settled in Puruwala where the society was established.